After some years of research and development, Florida-based Kel-Tec recently released its newest model: the Kel-Tec CP33, a nifty 22LR competition pistol. Back in 2010, when they introduced the PMR-30 (a pistol chambered in 22 WMR and holding 30 rounds), there was a demand for them to produce a similar weapon in the oh-so-plinky 22LR. Apparently, there was a lot going on behind the scenes this last year, as the company managed to keep things on the down-low and out of the public eye, before going ahead with the unveiling of this model. As with any new handgun, time will play a part in its success or failure. No matter what the company (or online websites) may say, there is still the matter of hands-on experience. Nothing can replace that. So take this into account as we dive into this newest release by Kel-Tec. Kel-tec worked on this gun (and on its unique magazine) for several years. Design and development began sometimes in 2012. 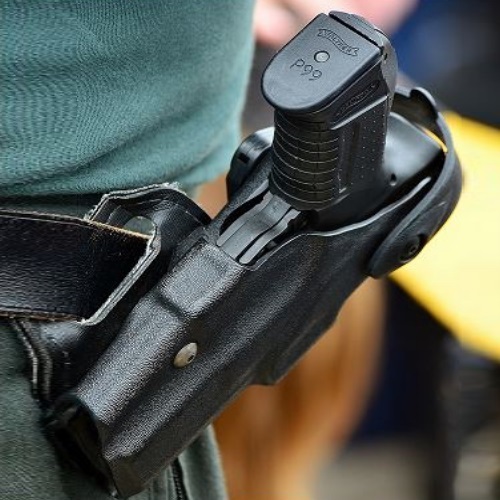 In 2014 the company applied for – and was subsequently granted – a patent on its design of a 22LR 33-round magazine. They recently revealed the newest addition to their lineup at SHOT Show: the CP33, which stands for Competition Pistol, 33 rounds. Obviously, this is a gun which will be the object of desire for more than just competition shooters. It is very reminiscent of the aforementioned PMR-30, with its steel/polymer makeup. The CP33 has a metal upper and polymer lower, a magazine release on the heel (making it ambi), checkered grip, and it includes adjustable fiber optic sights. Actually, most of the controls on this gun are ambidextrous, aside from the bolt release. The gun boasts Picatinny railing on the top and an M-LOK attachment point on the bottom. A threaded barrel fit for suppression is standard, and the charging handle is AR-like and is non-reciprocating. Any would-be accessories and optics could be mounted there with ease. Like many other Kel-Tec products, the aesthetics are… well, they polarize people, that is for sure. 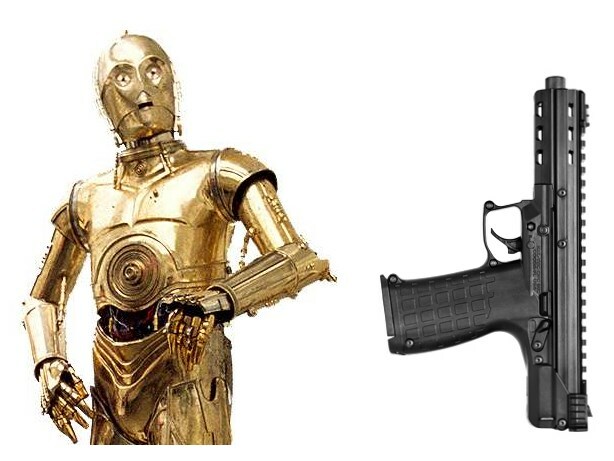 Some say their guns are downright ugly, and others praise their innovative look (though in either case, that would not stop people from purchasing one). There is no accounting for taste, I know, but Kel-Tec has certainly managed to put some new spins on handgun and magazine appearance. And you can choose to look at it however you want. And speaking of spins, check this out: the CP33 is probably one of the first – if not the first – mass-produced firearms to include 3D-printed parts in its assembly. This is likely to become more standard procedure with weapons manufacturing, but we will have to wait and see. As time goes on, people are becoming better educated on the nature of 3D-printed parts and guns. Overall, the build is solid. It doesn’t feel like a water gun from the 80’s, though to some it may undoubtedly look like one! How does it shoot? In a word – great. It shoots great. Kel-Tec’s shotguns and rifles have a reputation of being finicky about ammo, and according to some who have more experience, they even have a tendency to flat-out fail or otherwise malfunction. I enjoyed my Kel-Tec experiences, but I have never carried one full time or shot one very long term. So it’s hard for me to pass these judgments, personally. Also, I am aware that there are lemons in every field or industry where items are mass-produced. I feel the issues which Kel-Tec’s weapons have/had can probably be attributed to the fact that these are mostly issues with first generation models. This seems to be true for other first generation weapons, made by other brands. Buying a first gen firearm is always a kind of gamble, even if it is a weapon produced by a reputable and well-known manufacturer. It shoots flawlessly, but yes, in all likelihood it does depend on the kind of ammo you will be using. This is probably something which will not change. You need good ammo, but since this is a 22LR it is less of a problem, money-wise. You could make the argument that the gun should fire anything, but in reality there are brands which it prefers over others. When shooting, the trigger had a nice break and a quick reset. I was pleasantly surprised, to be honest. My experiences with Kel-Tec triggers hasn’t been the best. Like I said, I haven’t carried them long-term, but the initial feel of it has told me that a replacement trigger might be in order. This was not the case with the CP33 trigger. The recoil was nothing much to speak of (22LR, remember? ), which made follow-up shots easy to obtain. 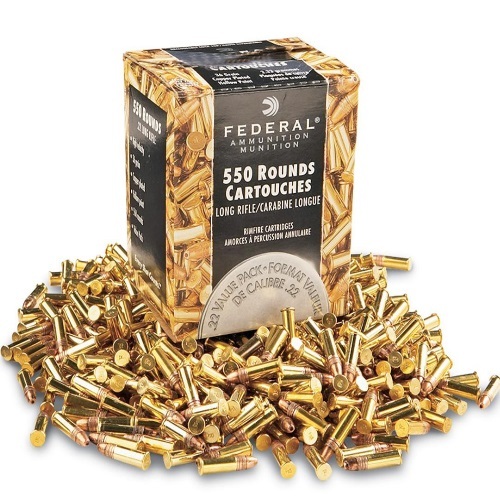 22LR cartridges tend to cause issues when they are stacked in high-capacity magazines. This is probably what is causing some people to doubt the potential ease-of-use of the CP33. People just don’t want to spend half their time reloading the thing, whether at the range or in a competition. The magazine which Kel-Tec designed does its job, but there are certain times when the angle and shape of a bullet may cause the mag to jam. This is not to say that people have been experiencing this across the board. Not at all. But I feel the need to mention it, since we may be hearing of it in the future. Just a maybe. There is always the chance that despite Kel-Tec’s best intentions, their patented magazine will prove to be problematic. I hope not. An accessory which is being discussed nowadays is the extended magazine. There is talk of aftermarket mags which will be made available, since Kel-Tec is currently not producing anything other than the 33-rounders that come with the gun. I saw a YouTube clip of a guy shooting a 50-round mag, though. Kel-Tec CP33 Review: 33- or 50-round .22 LR Pistol! Of course, there is always the chance that if such an item sells well, Kel-Tec may jump on board and make an original extended mag. Another accessory which will conceivably be made available is a brace. 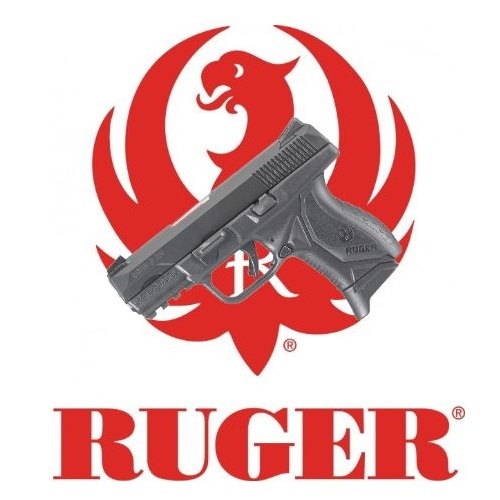 And while I tend to agree that a 22LR pistol doesn’t necessarily need anything to provide it with extra stability, some shooters physically need a brace. Others just enjoy shooting with a pistol brace. Either way, this could be something which will pop up. Because this gun comes standard with Picatinny and an M-LOK slot, you should be good to go. Simply attach any compatible optic or other sighting system, zero it in, and enjoy. I am sure that if competitive shooters take a liking to this model, you will see aftermarket products to match their various demands, if any specific ones are made. Again, this is a brand new model, so it is all a question of time. 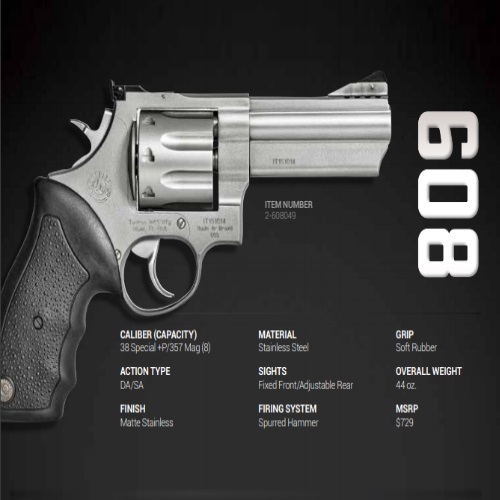 After all, it is the market – not a marketing department – which decides whether or not a firearm is up to par. All we can do is give it some time and see what the public makes of it, once the dust settles and the hype cloud evaporates. The CP33 seems like a great option. On paper it looks good, but can you actually get your hands on one? Kel-Tec has (or had?) a reputation of being highly innovative, but not too attainable. They are a company which does not produce a large enough quantity of its weapons. From what I heard, they have backorders on models which are several years old. In other words, they are good at noticing a demand, but not as good at following through with an adequate supply. It looks as though this time they did it right. They spent 2018 testing and producing CP33 units, so that when they did unveil it, they would be able to meet with the demands of their customers. 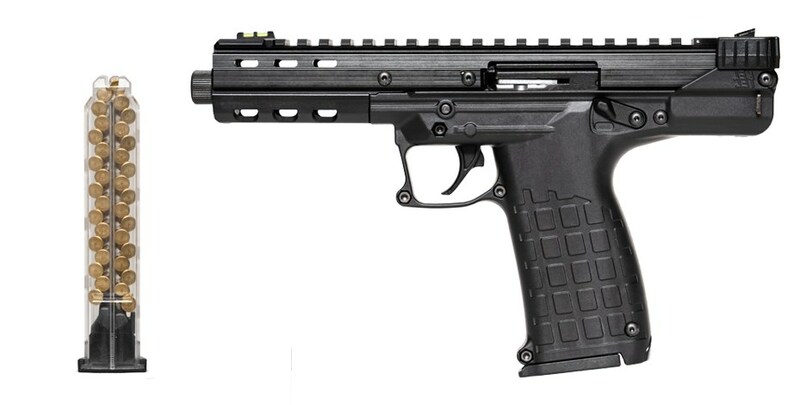 As with many Kel-Tec products, this is one which popped up and ran out fast. It is out of stock pretty much everywhere these days. The best course of action is to wait for summertime, when the CP33 will probably begin shipping out regularly to retailers. Overall, the CP33 is a neat gun. I’d love to see it in actual competition, and I would have to spend more time with it before I decide if it is worth the asking price. I am sure that when more of these ship out in May or June – sometime this summer, anyway – the prices will become more stable, closer to the MSRP and hopefully under it. It is only then that we will be able to know what the shooting public has to say, and how Kel-Tec will answer. 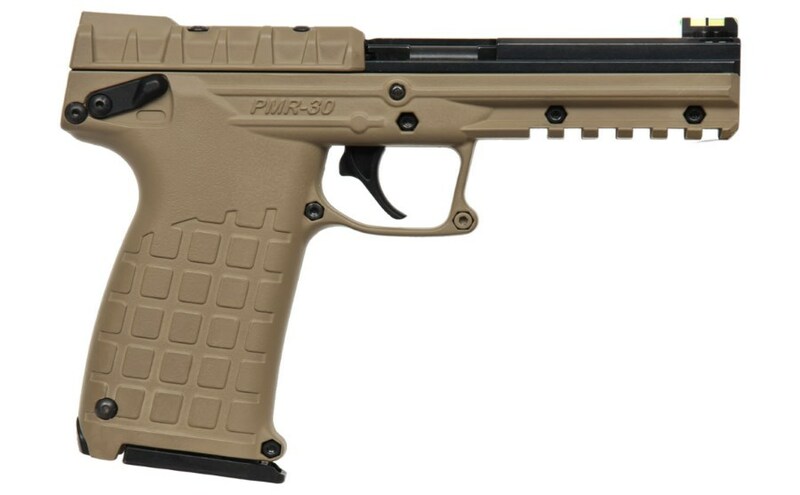 Let us know you’re thoughts and concerns about the Kel-Tec CP33 in the comments, we’d love to hear from you!